The Department of Human Resource’s Office of Child Care Subsidy administers the subsidized child care program funded through the Child Care and Development Fund (CCDF). The mission of the program is to provide Alabama’s low and moderate-income families with equal access to affordable and quality child care services as they participate in work, educational or training activities. Currently, the Department administers the program regionally through four (4) Child Care Management Agencies (CMA’s) in nine (9) regions. Finding the right care and early education environment for your family is an important decision. 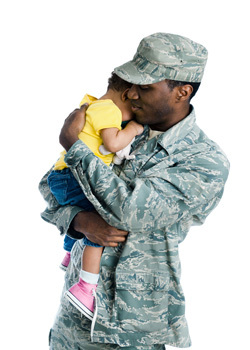 We know this decision can be impacted by many variables in a military family's life. Kiddie Care Learning Centers has partnered with Child Care Aware of America (formerly known as NACCRRA) in an effort to offer fee assistance for Active Duty military families and solutions to their child care needs when care at a Child Development Center on the installation is not available.